C24 Gallery is pleased to present the works of Ernesto Caivano, Mike Dargas, Carole Feuerman, Nick Gentry, Dil Hildebrand, Katja Loher, Irfan Önürmen, Seçkin Pirim, Regina Scully, Brian Tolle and Christian Vincent at the 28th edition of Art Miami 2017. Art Miami is an international contemporary and modern art fair that takes place each December during art week at the newly opened Miami Herald Plaza. Art Miami will take place December 5 - December 10th from 11am - 8pm, daily. Ernesto CaivanoErnesto Caivano’s meticulously detailed ink drawings depict an ambitious narrative based on lovers’ courtship, separation, retribution and eventual evolution. Varying in format and scale from scroll-like panoramas to small detailed studies, Caivano’s drawing portray a timeless tale of Polygon and Versus, who were torn apart upon the consummation of their union and transported into the woods, signifying an alternate reality and universe. 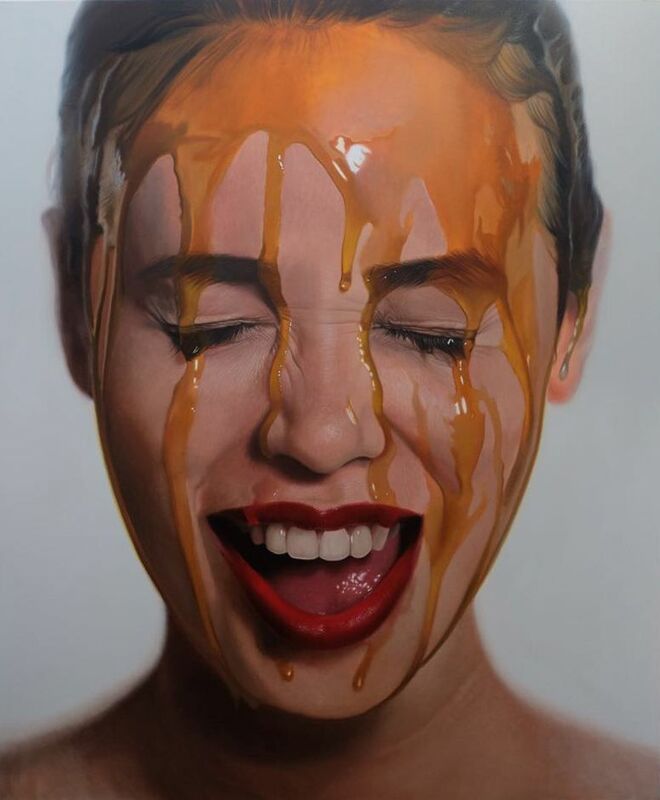 Mike Dargas Inspired by Dali, Caravaggio and HR Giga, Dargas explores themes of reality and the surreal in his hyperrealistic oil paintings and charcoal drawings. His quest for perfection results in works that read like photographs, snapshots of mental states. His subjects appear conflicted, lost in thought, or even sublimely calm. Dargas challenges both himself and the viewer to take a deeper look at the subject, in order to question human nature and emotional perception. Carole Feuerman’s is recognized as a pioneering figure in the world of hyperrealist sculpture. Her sculptures create visual manifestations of the stories she wants to tell of strength, survival, balance. By combining conventional sculptural materials of steel, bronze, and resin, with more unconventional media like water, sound, and video, she creates hybrid works of intricate energy and psychology. Nick Gentry uses obsolete technologies like 35mm film negatives, VHS cassettes, X-ray prints, and floppy discs, to create his unique portraits. 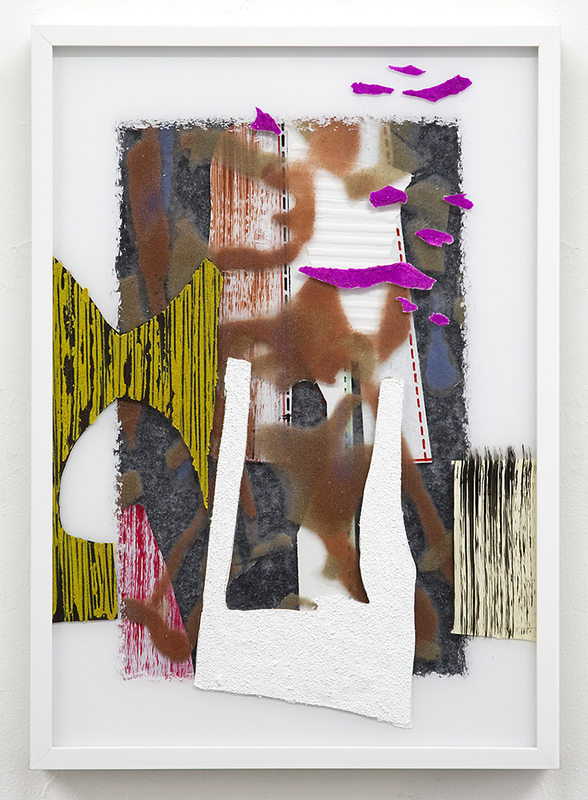 His work comments on the rapidity and scope of contemporary technological shifts. These materials, sourced directly from individuals all over the world, come together—in one form—to suggest a compound of shared experiences. Dil Hildebrand's work focuses on spatial concepts of design, the construction of image, and the mechanics of representation in art. His work is informed and influenced by a diversity of references and methods, including modernist strategies of fragmentation and re-composition, pictorial tropes of Western art and theatre, and post – modernist architecture. Layered panels follow a consistent color palette throughout the work, playing with distortion, and depth of field. Katja Loher's video sculptures are explorations into the delicate relationship we have with our ecological environment. She creates idealized, artificial worlds that sit in harmony with our own, often unpleasant, reality, urging the viewer to consider the ecological concerns of our time. Loher’s carefully choreographed videos are encased and mounted to the wall, allowing visitors an intimate experience as they peer into the the glass orbs, and into Loher's imaginative worlds. Irfan Önürmen's artwork reveals the relationship between personal and public experience as seen through the lens of contemporary media. Önürmen addresses the impact of mass media on human experience and its visual representation of contemporary media. Önürmen addresses the impact of mass media on human experience and its visual representation through collage, painting and sculpture. Seçkin Pirim explores form, color, and pattern in his conceptual sculptures. Working in a variety of media, his artwork examines the relationship between object and space, the dichotomy between nature and culture, and the line between art and design. His sculptures are neo-minimalist forms of expression as well as contemporary strategies of art and design. They create an aesthetic that neglects social connotation and is able to form a post-futurist, post-constructivist and post-minimal vision of our world. Regina Scully creates micro-universes that resonate between the familiar and the unknown. 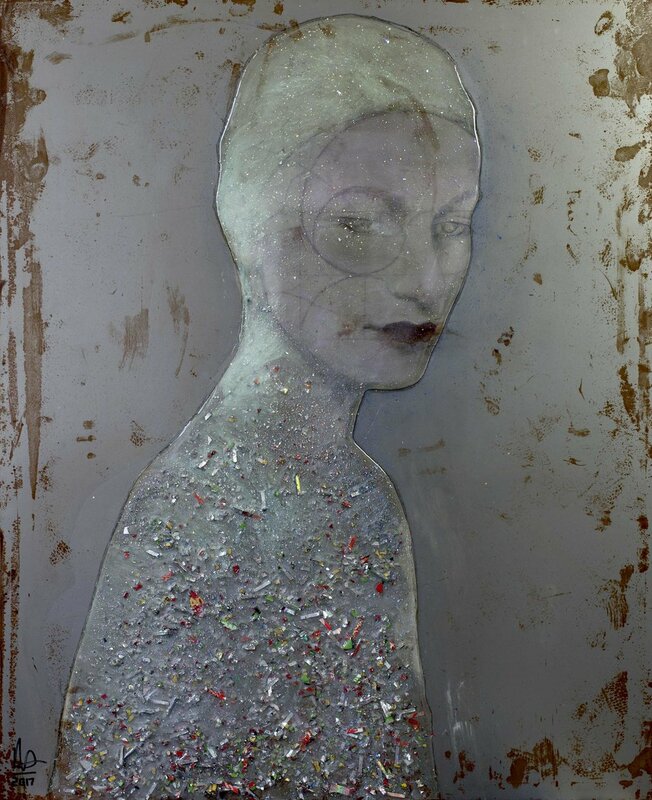 Her mindscapes incorporate different perspectives of space, and suggestive fragments of objects and phenomena. Her paintings and works on paper become personalized dreamscapes for the viewer, with enveloping, rhythmic labyrinths to enter and travel through, wherein the viewer experiences thoughts and visions through association and memory. Christian Vincent explores the dynamics of conformity and desire in social situations within the framework of a post-industrial world in his dream-like paintings. His strong compositions feel melancholic and evoke a sense of isolation. The subjects are often youthful figures on the verge of adulthood, that capture a sense of innocence confronted with the compromises of modern life.